Visit https://jobs.healthcareercenter.com/jobs/10732347 to view the full article online. Visit https://jobs.healthcareercenter.com/jobs/10800887 to view the full article online. Visit https://jobs.healthcareercenter.com/jobs/10781774 to view the full article online. Visit https://jobs.healthcareercenter.com/jobs/10793715 to view the full article online. Visit https://318359.jobcontrolcenter.com/jobs/10805448 to view the full article online. Visit https://318359.jobcontrolcenter.com/jobs/10684680 to view the full article online. Visit https://jobs.healthcareercenter.com/jobs/10796756 to view the full article online. Visit https://jobs.healthcareercenter.com/jobs/10786837 to view the full article online. 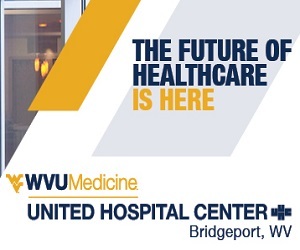 Visit https://jobs.healthcareercenter.com/jobs/10815162/nurse-manager-penn-state-health-heart-and-vascular-critical-care-unit to view the full article online. 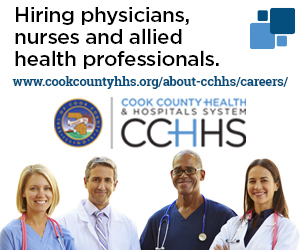 Visit https://jobs.healthcareercenter.com/jobs/10810699/director-of-medical-staff-office to view the full article online. Nurse practitioner and physical therapist are among the most in-demand jobs, according to a new report. Visit https://www.beckershospitalreview.com/workforce/half-of-toughest-jobs-to-fill-in-2018-are-in-healthcare.html to view the full article online. Becoming a certified nursing assistant or licensed practical nurse can help you launch your healthcare career quickly. Visit http://www.healthcareercenter.com/blogs/Nursing-CNA-LPN to view the full article online. A job interview isn't only a time for answering questions; it's your opportunity to learn whether the job and the organization are a good fit for you. Visit https://money.usnews.com/money/blogs/outside-voices-careers/articles/2018-03-08/4-things-to-look-for-during-the-job-interview to view the full article online. At the start of your job search, take time to explore the plan you have for yourself and where you'd like to be. Visit https://www.usatoday.com/story/money/careers/job-search-tips/2018/02/16/5-steps-to-a-better-job-in-2018/110134086/ to view the full article online. Visit http://www.healthforum.com/connect/events/344000337 to view the full article online. Visit http://www.healthforum.com/connect/events/3550002398 to view the full article online. Visit http://www.healthforum.com/connect/events/1020001372 to view the full article online. Visit http://www.healthforum.com/connect/events/7590004172 to view the full article online.